Kamakhya Devi Mandir is one of the famous Shaktipeethas of Devi Sati.It is located in Assam (India).it is also termed as a JAGRAT PEETH( live seat of devi sati ) . It is believed that Mata Sati's Yoni fell here. Shaktipeeth of Devi Sati is located in Medinipur District of West Bengal. It's about 90 K.m from Kolkata, and located on the banks of the Rupnarayan river close to bay of Bengal. It is believed that Mata Sati's left ANKLE fell here. This shaktipeeth of mata sati is located in birhum district of west Bengal and it is believed that devi's portion between the EYEBROWS fell here. The Goddess here is worshiped in her Mahishasurmardini form. Maa nalteshwari devi ji is one of the 51 places where parts of Sati's body fell thus it is known as Shakti peethas. The throat of Sati or “Nala” fell here as known by tradition. This is a beautiful place with fine vicinity and plateaus all around it where Maa Nalateswari resides and has resemblance with Kamakha and Kalighat pithas. ​The goddess of this place is known as Maa Nalateswari who is also praised as Maa or “Bhagobidhata-Nalateswari” or Devi Parvati or Kalika. According to the localities, in 252th Bengali year or “Bongapto”, “Kamdev” (the Hindu god of love and desire) who had dreamt about its existence discovered the larynx of maa sati at this Nalahati forest. Lord Shiva father in law, Daksha was very angry at him because her daughter married Lord Shiva against his promises. So in order to take revenge, he conducted or performed a Yagna (A very auspicious ceremony or action in Hindu culture). Daksha invited every person from all over the world, but not his son in law and his own daughter, Sati. When Sati got the news about the Yagna, she could not resist herself and went to attend the ceremony. There nobody paid any type of attention to her, including her parents. She did not annoyed by this action of his father, but when his father did not even respect her husband, she felt dreadful. The agony was so much so, that she jumped in to the fire (Yagna) and give away her life. The loss of Sati was very painful to the Lord Shiva and due to this, he got furious and angry. Shiva went to the place where Yagna was being performed and devastated that area. Then Lord Shiva carried Sati all over the world, as he was in utmost grief that time and hoping to get Sati life back. This made all other gods to feel bad for lord Shiva and in order to get back lord Shiva to normal state, they visited Lord Vishnu. Lord Vishnu used his Sudarshan Chakar and severed Sati body in to 51 pieces. These body parts fell on different part of earth and whichever place they fell on earth is considered holy. So, for every place, there is a Shakti Peeth. Vibhash, at Tamluk under district Purba Medinipur, West Bengal. Nalateshwari Temple located in the Nalhati town of Birbhum district, is a nearby temple attraction to Tarapith. The town Nalhati is named after Nalateshwari temple, one of the 51 Sakti Peethas. It is only 16 km from Ram­purhat. The town is sanctified by the river Brahmani and Maa Nalateshwari, the Holy Goddess. This temple is believed to be erected at a spot where the ‘Nala’, (Vocal chord with part of the tracheae), the throat of Goddess Sati (Sakti) had fallen .it is also believed that Debi’s ‘lalat’ (forehead) had fallen there. So she is called as ‘Nalateshwari’ .The temple is dedicated to the Kali form of Goddess Devi. It is located on a small & beautiful hillock. Rani Bhabani had built a small temple over the Peetha of Sri Parbati Mata, later on or about the 1890s Maharaja Ranajit Singha of Nashipur built the temple and Dharamshala as we see it today. On daily basis, Maa is offered with fruits, sweets and ‘Chhana’ in the morning ,Later she is offered with ‘anna-bhog’(rice ), ‘sabji’s , 5 types of fries, fish and ‘payesh’ on the noon and finally ‘halua’, luchi and sweets in the night. The temple remains opened from 6 am to 10 pm daily. Sri Ranjan Chakraborty, the priest of the temple has shared this information. Like all Sakti Peethas, this Mandir has an adjoining Shiva Mandir within the compound. Here the Shiva is known as Yogesh Bhairav and Sakti is Kalika Devi. Unlike other Sakti Peethas, one can take snap of Devi Maa. There is a huge sacred tree where the devotees bind red and yellow threads to fulfill their wishes. Beside the main temple, Lord Ganesha is seated in another temple.. The temple walls are designed with beautiful panels of terracotta. Place: This temple is formed in the district of Murshidabad in West Bengal, India. Description:In order to make people of the Earth remember about the incident for life time, Vishnu severed the body of Sati into several pieces with sudarshan chakra. The body parts of sati which have fallen down in different parts of the earth have formed Shakti peethas. Sati had blessed by placing her crown at Kirit Shakti peeth. 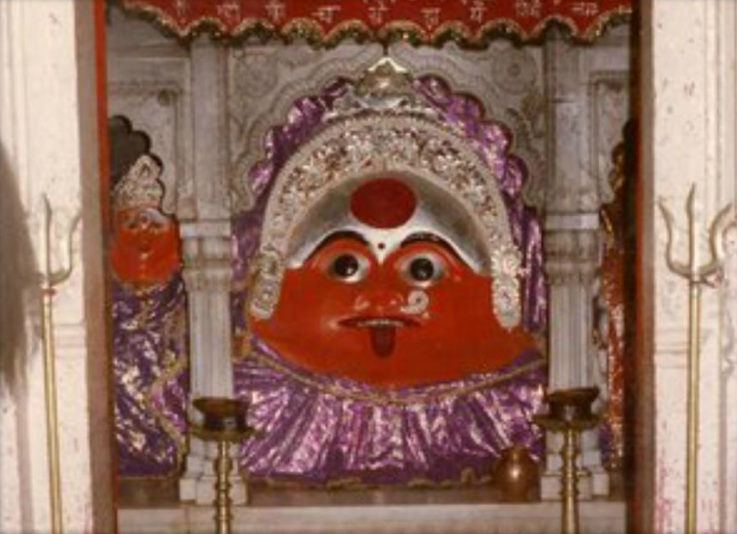 Later the idol placed in the particular temple has been named as Shakti Vimla. The temple here is known as Maa Kiriteshwari’s temple. This temple is build by King Darpanarayan Roy. 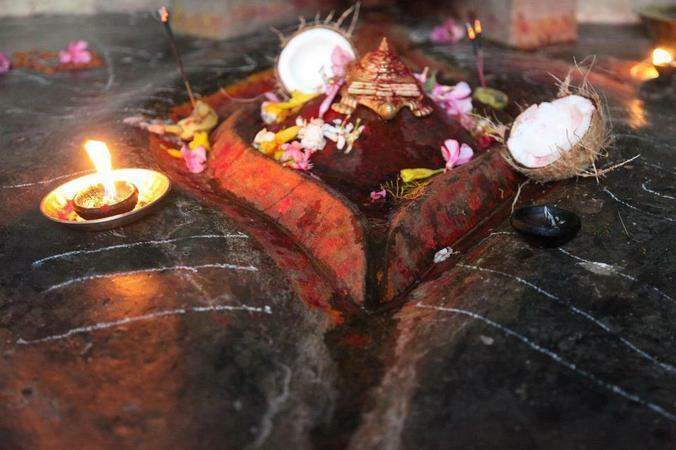 This temple is missing any deity or image of Maa Durga but only one red stone is present. This stone is prayed as Maa Kiriteshwari. This temple is one of the most holy places and old temples in Murshidabad district in West Bengal. There are several festivals here specially during every new Moon. Durga Puja and Kali Puja is also celebrated here by many devotees. There is noting special in this temple for the tourists except being a holy place for Hindues. Visitors to Khush Bagh, Roshni Bagh, Jagat Bahdhu dham can come here as this place is near by from those tourist spots. The original temple here was destroyed during 15th century and later on the the current temple was build in 19th century.